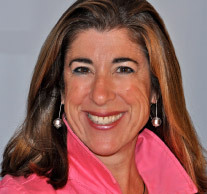 Barbara Shulman-Kirwin is a student of forgiveness. Barbara earned her BS in Philosophy and a masters of science in Physical Therapy and practiced PT for over 15 years. She loved working with her patients and helping them get better, but something was missing in her life. She decided to stop PT and she became a potter apprentice at the Guilford Arts Center. Barbara fell in love with the act of creating and making beautiful functional pieces of pottery, but 4 years into her ceramics life, she contracting Lyme Disease that was undiagnosed and untreated. Barbara left ceramics because she could no longer throw on the wheel and do functional pottery, and making lemonade out of lemons she ventured into glass fusion and 15 years ago opened Chroma gallery (www.bskdesign.net), in Guilford, CT which is her working studio and exhibit space all in one. Barbara’s healing journey from Chronic Lyme disease introduced her to the world of complimentary and alternative medicine, which is where she discovered the healing qualities of Forgiveness. Barbara believes that forgiveness is the gift we give ourselves to lead us out of the prison of anger, grudges and fear. Barbara sees clients two days a week helping them heal with looking at life through the lens of forgiveness. ( www.forgiveness-works.com) Barbara is looking forward to teaching us the wisdom of forgiveness she has learned along the way. Please welcome Barbara Shulman-Kirwin to our November Happiness Club! Her topic speaks volumes to everyone. Forgiveness takes on new meaning as we evolve in our lives with the struggles of letting go, anger, pain and in some cases hatred. For me, I had to find a way to” let go” for survival. I will share my insights and what I had to do when we gather Thursday November 1st when we meet Barbara Shulman-Kirwin to present her story and understand how we can learn from her wisdom and healing benefits through forgiveness.